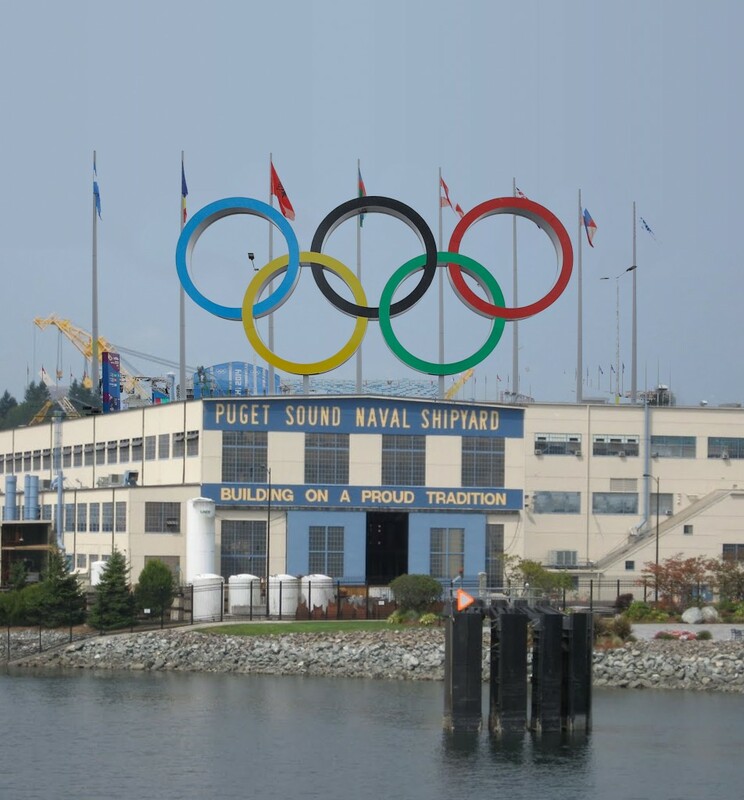 Could Bremerton host the 2022 Winter Olympics? With the conclusion of the Winter Olympics in Sochi, I am feeling energized. But I never imagined how jazzed I’d get when Elliot Smith, a dear Twitter friend from Bellingham, noted that Pyeongchang — site of the 2018 Winter Olympics — has around 44,000 people in it. 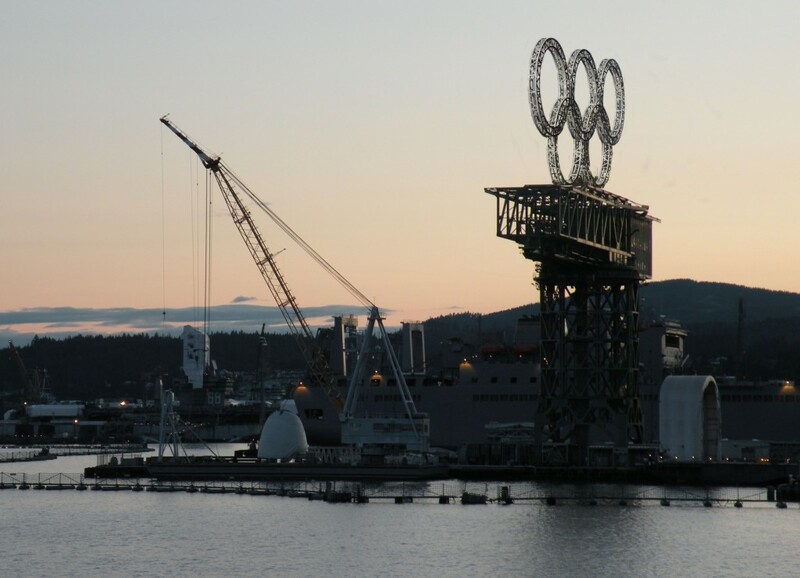 That, he said, would be like Bremerton — population 39,000 — hosting the Winter Olympics. To which I replied: Why not Bremerton? I even asked Bremerton native Bree Schaaf, bobsledder who competed in the 2010 Winter Olympics in Vancouver, what she thought of the idea. “I like it!” Schaaf said to the idea on Twitter. “Gonna take some serious bake sales and spaghetti feeds to match Putin’s billiondy dollar games…” she added. Former Kitsap Sun Sports Editor Chuck Stark has already begun planning venues for the games. He suggested bobsled races down Burwell Street, curling aboard the Bremerton-Seattle ferry route and building an Olympic-sized hockey rink at the old East High School site. Others weren’t so supportive of the idea. Shaun Guerrero told me via Twitter, “Bro just cause it’s legal doesn’t mean you should start so early,” referring to my early morning tweet — and an apparent drug problem he thinks I have. Rod, a.k.a. Torpedoman69, tried to divert the Bremerton 2022 campaign to Seabeck. “I think Seabeck would be great for the Olympics,” Rod said, adding the Seabeck Conference Center would do well as the Olympic village. When I responded to her that the Olympic fire had already been lit, she even threatened to play saboteur. “I can douse it,” she tweeted. But many were supportive, and I’m thankful for that. “Can’t be worse than Sochi right?” Cooper tweeted. Truth be told, I know Bremerton hasn’t a snowball’s chance. But just for fun, I asked Bremerton Mayor Patty Lent, at the conclusion of a recent phone call, if the city could play host. But we discussed the very real possibility of Seattle hosting big sporting events like the Olympics. 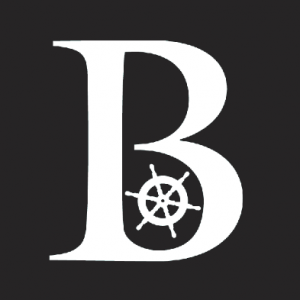 Bremerton would benefit economically, with its ferry link, she said. She also mentioned that the town ballooned during the 1962 World’s Fair. “We would be well positioned,” for such an event, she added. 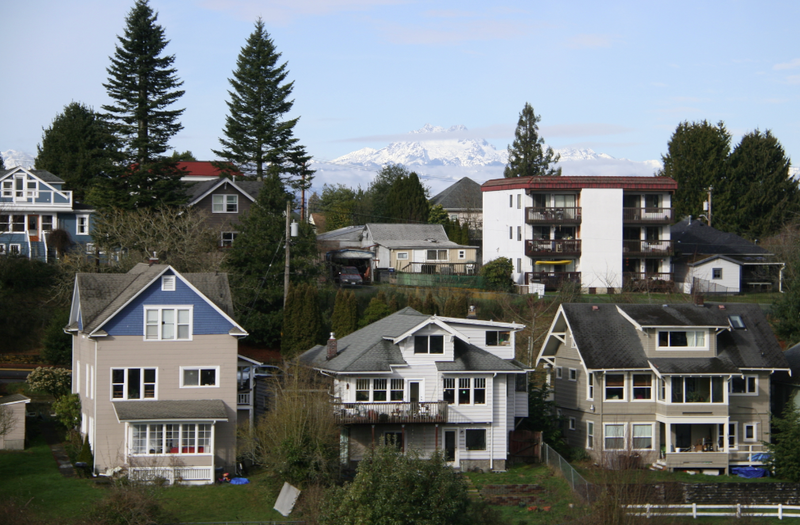 Believe it or not, Bremerton is a pretty healthy place. In fact, Gallup has named our home to be the eighth healthiest small city in the nation, according to a story in Daily Finance from earlier this month. So here’s the deal. Gallup, in producing its Healthways Well-Being Index, looked at local obesity and diabetes rates, as well as the percentages of people who frequently exercise and eat produce, and who are optimistic about their city. They also looked at what percentage of the population is uninsured. Put all those indicators together and voila! Bremerton’s No. 8. Gallup grouped the Bremerton and Silverdale areas, so the population totaled 60,000 (Bremerton proper weighs in at close to 40,000). Below are the indicators they examined. The number on the left is Bremerton’s; the number on the right denotes the national average for communities under 300,000. Here are some observations from the data from someone who is an expert a know-it-all reporter. Our diabetes and and obesity rates pretty much mirror the national averages. But Gallup thinks we exercise and eat produce more frequently than the rest of the country. We are also more optimistic about our area than most. 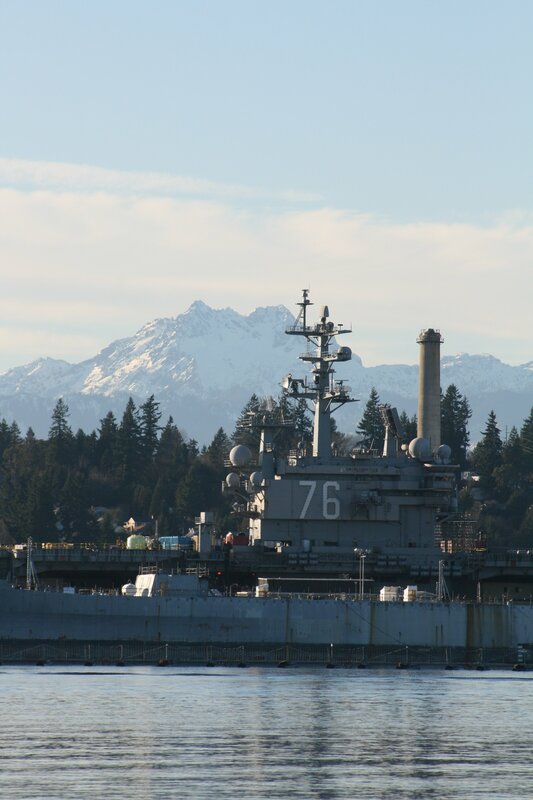 With our Navy presence here, I speculate that many who live in Bremerton and Silverdale have to keep in pretty good shape, and that means regular exercise and a healthy diet. Also, we have fewer uninsured residents here. Perhaps that’s due to a robust portion of our local workforce clocking in at the Puget Sound Naval Shipyard and Intermediate Maintenance Facility — one of the state’s largest daytime workforces — where health insurance is the standard. Lastly, I would ask you to just take a look around. Hard to dispute that where we live — surrounded by the blue waters of the Puget Sound, white capped Olympic Mountains and thick forests of towering conifers — isn’t beautiful. As for being optimistic about their city? I don’t know. You tell me, Bremerton. Mile marker 28. That’s the spot, on Highway 16 near Gorst, where Washington State Trooper Tony Radulescu was shot and killed on February 23, 2012. Radulescu’s public memorial is located at the Washington State Patrol’s Bremerton headquarters. But there’s obvious significance, particularly in the law enforcement community, to the location where the 44-year-old lost his life. So perhaps it’s no surprise that, each anniversary of his death, officers have gathered at the site. This year, in the same early morning hours of Feb. 23 that Radulescu called out a traffic stop that would be his last, troopers in his Washington State Patrol detachment gathered there. 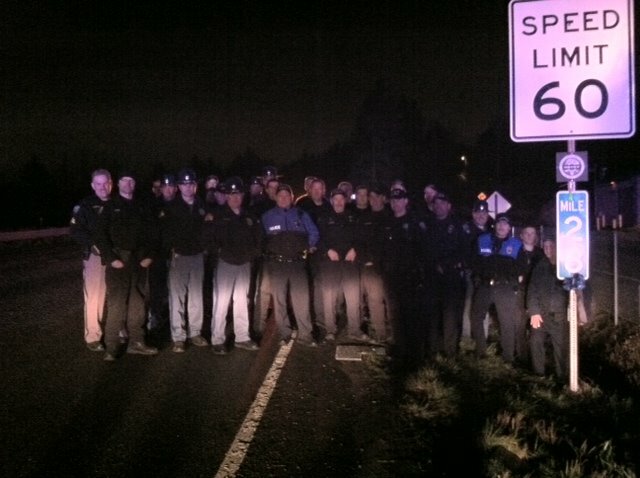 So did Bremerton and Port Orchard Police officers. And Kitsap County Sheriff’s deputies. Rob Corn, a deputy who did what he could to try and save Radulescu on that sad day, said journeying to the site has become a tradition. “It’s an annual thing, as long as we aren’t on calls, to go down there,” Corn said. Those cops that were able to cut away took this photo to mark the occasion. This is what happens when a balloon floats into power lines. Balloons and distribution lines, it turns out, don’t mix. Exhibit A: the remnants of a mylar balloon that drifted into Puget Sound Energy’s high voltage power lines above the QFC in West Bremerton Monday (pictured). Power was never knocked out, but those distribution lines serve, well, just about everyone. So if your power flickered around that time, chances are that’s what it was. 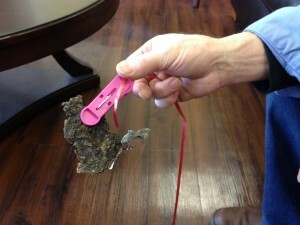 The mylar balloon burned up fast enough that electricity did not cease in the area. But they do cause several outages a year around PSE’s network. Keep metallic balloons indoors; never release them outside. Never fly kites near electric lines, in the rain or during an electric storm. Never use a kite made with wire or metallic materials, including Mylar. Securely tie helium-filled balloons to a weight heavy enough to prevent them from floating away. Do not attempt to retrieve a balloon, kite—or any foreign object—tangled in power lines. Instead, call PSE at 1-888-225-5773 and report the problem. Never go near a downed or dangling wire. Assume that the electric line is live. Stay away and warn others to stay away. Call 9-1-1 to alert local emergency response until PSE can arrive. As a Bremerton resident who just renewed my car tabs, I was reminded that we fork over an extra $20 each year to help maintain Bremerton’s roads. And what is that extra Andrew Jackson going to buy in Bremerton, you ask? The fund — which generates around $350,000 a year — goes toward street upkeep. The city’s street department seals in cracks, tears out craggily sections of roadway and patches them, and utilizes other quick fixes aimed at extending a road’s life. But at a Feb. 5 meeting of the Transportation Benefit District (TBD) board — which is really just the Bremerton City Council, but with a fancy title that authorizes them to spend the car tab money — its members authorized spending $250,000 for the Old Wheaton Way project. The project, which will put in a new street and sidewalks along Old Wheaton from Lebo Boulevard to the Manette Bridge, doesn’t have enough existing funds for completion. Most of the funding is coming from a $1.4 million state grant. 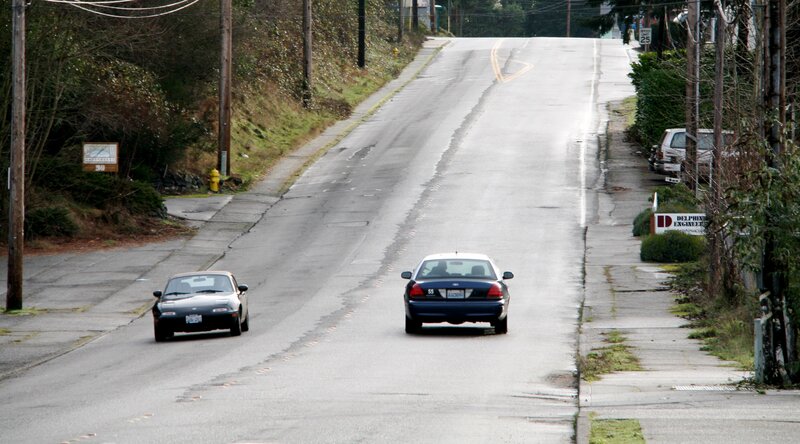 The TBD money gets the city closer to installing all of the project’s components, including street lighting, according to Bremerton Public Works Director Chal Martin. The TBD board approved a total $750,000 tab for road projects, in excess of what it collects per year but a doable amount because of reserves the TBD fund had built up in its first year and a half of existence. I’ll have a more detailed story in the Kitsap Sun in the coming days. In the meantime, drop a line and let me know what you think of the car tab fee and what it’s spent on. 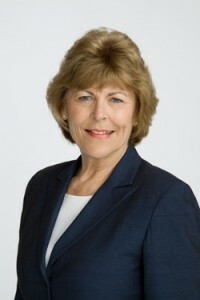 Bremerton Mayor Patty Lent got into a minor car crash on Wheaton Way Wednesday afternoon, according to Bremerton police reports. About 12:15 p.m., she was driving a Nissan Leaf when she struck the back of a Ford Mustang, which in turn hit a Toyota Corolla in front of it, on the 3200 block of the road. No injuries were reported; Lent said she was shaken up by the car’s airbag deployment. The police report indicates that the driver of “unit 1” — Lent’s Leaf — was “reaching for a tissue” inside the car, causing the accident. The crash is being reviewed by the police department; no tickets have been issued. Lent said afterward that she relied upon another driver to call authorities because she did not have her cell phone. She said everyone was cordial and insurance information was exchanged. “We were all talking to one another,” she said. Bremerton Police Chief Steve Strachan said police documented the crash as they would any other accident. 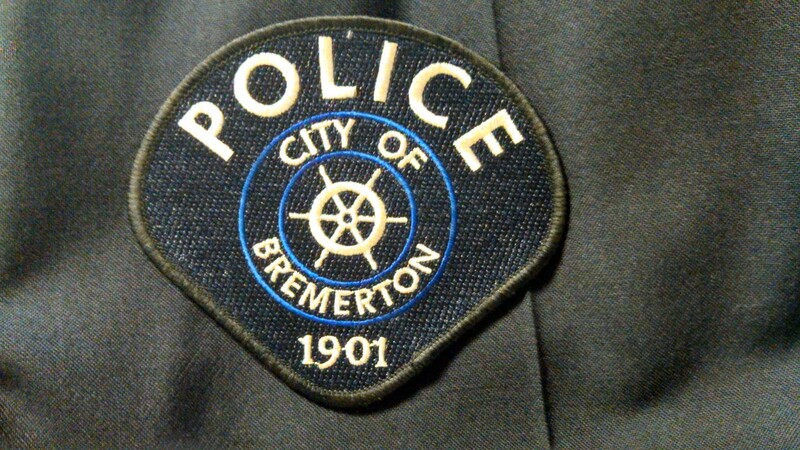 Change is constant these days at the Bremerton Police Department. In his first year as chief, Steve Strachan has pursued the city’s chronic offenders, created new patrol shifts to focus on high crime times and areas using real-time data and transitioned the department’s officers from traditional uniforms and into jumpsuits. Though the department was rebranded in the last few years of Craig Rogers’ term as chief, Strachan is also pursuing one of his own, with input from department staff and community members. 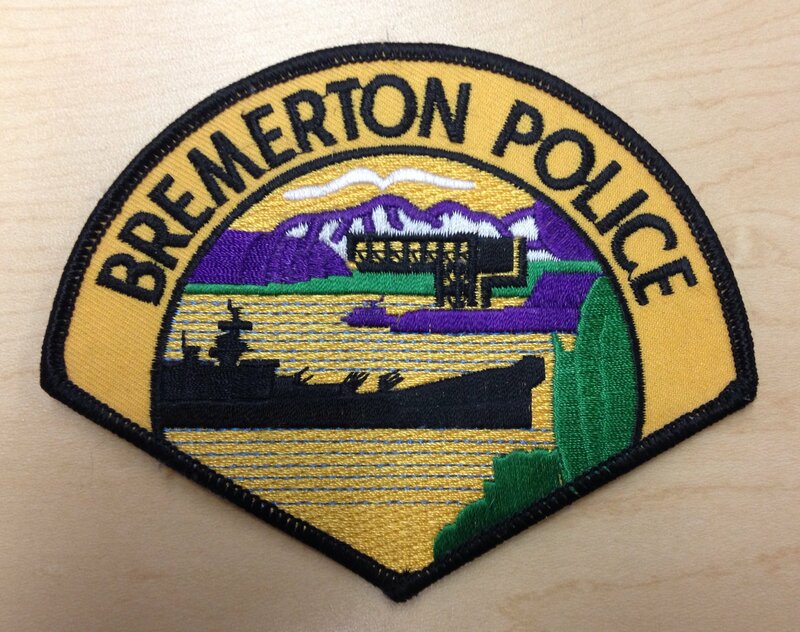 New police patches are on their way (pictured above) and expect Bremerton’s 59-strong force to be wearing them soon. The bottom line for Strachan was that the old patch was too busy. The new patch uses the city’s font as seen on its web site, and includes a ship’s wheel, which is also in the city’s official image (seen below). “We’re trying to make it simple, visible and consistent,” Strachan said. While King County’s sheriff, Strachan said several lawsuits were filed by residents who felt they could not tell they were dealing with a police officer. He’d like to avoid that here, and wants to make sure residents always know who their officers are. “This is all consistent with our move toward higher visibility,” Strachan said, noting he’s also printed “POLICE” on the back of officers’ jumpsuits. You may also have noticed the fountains have disappeared off the side rear of the city’s patrol cars. Tom Wolfe, Bremerton Police’s captain of patrol who’s worked for both Rogers and Strachan, said he tends to lead toward “less is more.” He’s pleased with the outcome. If you’ve lived here any length of time, you probably remember the decades-long badge Bremerton police long wore on their shoulders. Just wanted to include it here for posterity’s sake. 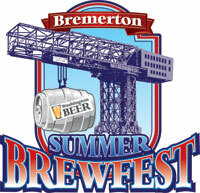 Downtown Bremerton will once again turn into a giant beer garden on July 12, with the return of the summer Brewfest. The details are still being ironed out, but I confirmed the date today with Washington Beer Commission Executive Director Eric Radovich. The commission, a quasi-governmental board that promotes the state’s hops production (and therefore beer) has held the event in Bremerton for three years running. It drew more than 2,700 people here in 2013. It shuts down part of Pacific Avenue and part of Fourth Street for the revelry. The beer commission had contemplated moving the event to Tacoma this year, but many of Kitsap County’s brewers and beer supporters journeyed to Shoreline for the commission’s meeting Tuesday night. Long story short, the festival is here to stay after some impassioned arguments from our West Sound brewery faithful. The commission is made up of six brewers and one liaison with the state’s Department of Agriculture. For the longer story, look to Thursday’s Kitsap Sun. David Nelson writes: This week I convinced Josh to help me experiment with a new idea that I hope gives readers a better connection with Kitsap Sun reporters doing some really important reporting. We took a few minutes and used Google Hangouts for me to interview Josh about his recent reporting on heroin use in Kitsap County. Anyone who’s been following the news knows this is a significant local issue, and becoming a national storyline as well. I hope you learn a little bit more by hearing the story from his point of view. We’ve got a few kinks to work out — one of which is me backing away from my monitor, I admit — but I plan to have more of these “Kitsap Conversations” with reporters in our newsroom. So keep watching kitsapsun.com for the next installment. 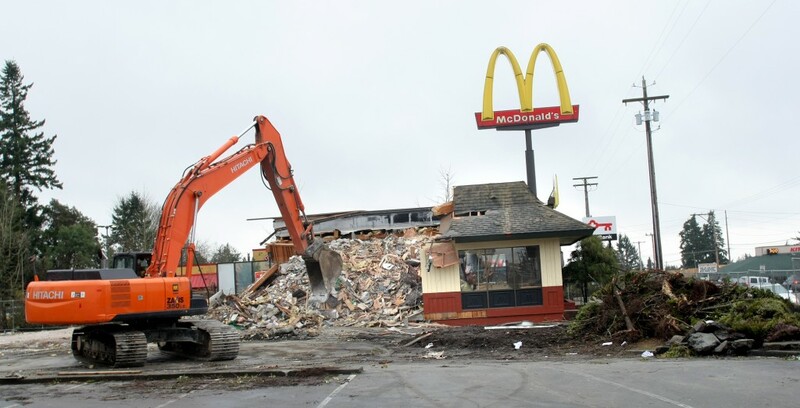 McDonalds fans: You won’t have to venture to West Bremerton for too much longer to get you Big Mac and Chicken McNuggets. Come May, a brand new McDonalds will open for business on the same Wheaton Way spot where the old one is currently being torn down (pictured). The Wheaton Way fast food restaurant was pretty much the oldest in a group owned by Peninsula McDonalds, and rather than renovate, they decided to rebuild, said Peninsula McDonalds Marketing Director Hope Lash. The restaurant closed at the end of January. 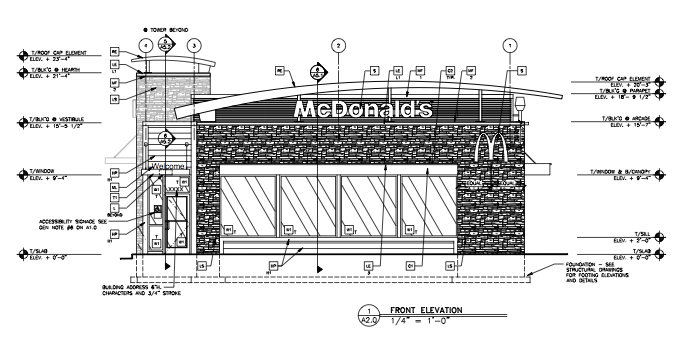 The new McDonalds will have all the bells and whistles of the modern fast food restaurant, including a two-lane drive thru to expedite things. See below for a photo of the architectural plans, courtesy of the city of Bremerton. The new restaurant joins a new Starbucks, new Kitsap Bank and new Boys and Girls Club that are breathing some new life into the beleaguered corridor. McDonalds isn’t the only business on the move in Bremerton right now. A new Verizon dealer just opened on Kitsap Way and an Ace Hardware is slated to open in Bremerton in 2014. And the Great Peninsula Conservancy is moving downtown. Don’t miss the coverage over at Minding Your Business, a blog by my colleague Tad Sooter.